Yes, the uniben 2nd Batch Admission List for 2017 has been released and published online by the school authorities. This is according to confirmed information reaching us today. Latest educational news reaching our news desk today, is that the University of Benin (uniben) second batch admission list has been sent via the school’s officials to the Joint Admission and Matriculation Board (Jamb) for publishing. All candidates who selected the University of Benin as their most preferred academic institution during the JAMB 2017 registration and sat for the uniben post utme screening exercise, can now check their admission status online. 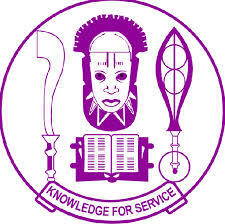 This is to inform all 2017 aspirants of University Of Benin (UNIBEN) that the names of admitted candidates into the institution for 2017/18 session has been uploaded on JAMB website. Candidates are to check their admission status on JAMB website now using the guidelines below. 3. Then click on “Check Admission Status” to view your admission details. All candidates should please take note that if they have been offered admission, please take note that you are required to immediately proceed to request for your official JAMB admission Letter. The JAMB admission letter validates and confirms your admission.